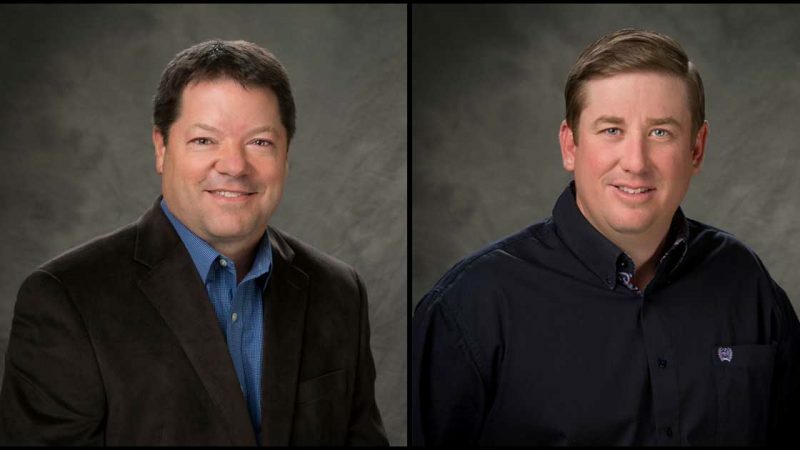 Jeff Schumacher has been selected as the next Chief Financial Officer and Ryan Rasmussen as the next Vice President of Credit at Premier Farm Credit. Schumacher is currently the Vice President of Credit and Rasmussen is a Senior Loan Officer in the Sterling branch. Both roles will be official January 1, 2018, with the transition of duties to occur incrementally throughout the fall of 2017. Vice President and Appraiser. Jeff earned a B.S. in Agricultural Business from Colorado State University and a M.B.A. from Regis University. Jeff and his family are actively involved in agriculture in the north Sterling and Peetz areas. Schumacher and his wife Lisa have three children. In the Vice President of Credit role, Rasmussen will be responsible for the review and support of all credit processes in the Association. In addition, he will serve as a member of the Association Loan Committee and will be a member of the Management Team. As a Senior Loan Officer, Rasmussen manages a large and diverse portfolio. He has been on the lending team of Premier Farm Credit for 16 years. Rasmussen began his Premier Farm Credit career as an intern while he was earning his B.S. in Animal and Veterinary Science, with a minor in Agricultural Business at the University of Wyoming. He, his wife Janie and their children reside just east of Sterling on the family’s longtime farm and ranch, where they are actively involved in the operation. Ryan will be relocating from the Sterling branch to the Administrative office in October. The Sterling Lending and Administrative branches of Premier Farm Credit are open from 8-5, Monday through Friday. Customers are welcome to stop by, call or email anytime. As a part of the Farm Credit System, established in 1916, Premier Farm Credit offers reliable and consistent credit to agriculture and rural communities, today and tomorrow. Premier Farm Credit is wholly owned by its borrowers and has aggregate loan volume of nearly $700 million. You can find us also on Facebook, Twitter, LinkedIn and Instagram.